I recently face painted at the Jump Club and most of the little girls wanted a rainbow design or a rainbow butterfly. Maybe being close to Saint Patrick's Day was influencing them. My favorite is the Rainbow Crown with the flowers. use this inquiry form to submit your request. 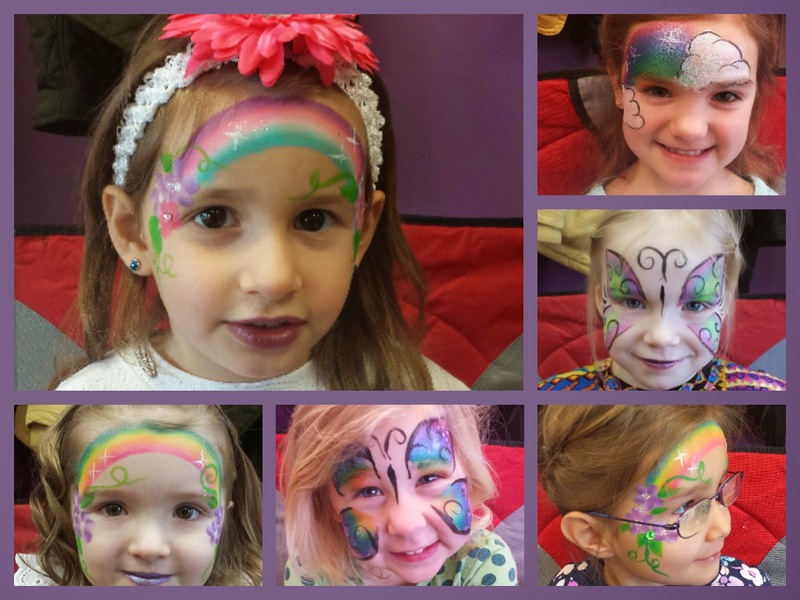 Fancy Faces & Friends provide face painting, glitter tattoos, balloon twisting, stiltwalking, and juggling services to the Monroe County area. For questions regarding Fancy Faces, contact Kristen at fancyfaces2010@gmail.com .